Christopher Hunt accepting the 2018 Harry and Martha Cohen Award. Photo by Jeff Yee. 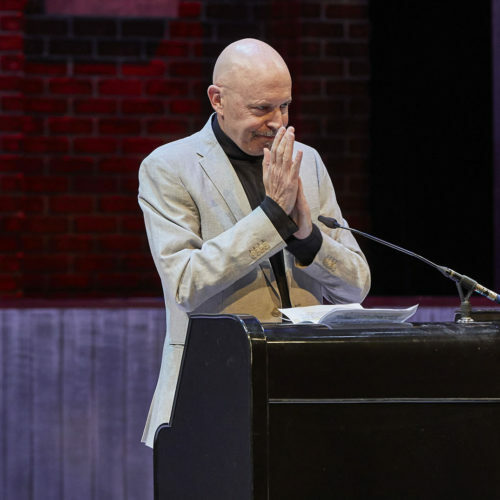 On Saturday, April 21st in the Martha Cohen Theatre, we announced Calgary Actor Christopher Hunt as the recipient of the 2018 Harry & Martha Cohen Award. Since 1984, The Harry and Martha Cohen Award has recognised significant and sustained contribution to theatre in Calgary.